How would you like a nice Halloween themed box which includes healthy treats for families? It’s a great time for parents to learn about new healthy Halloween Candy alternatives and balance out the goodie bag. 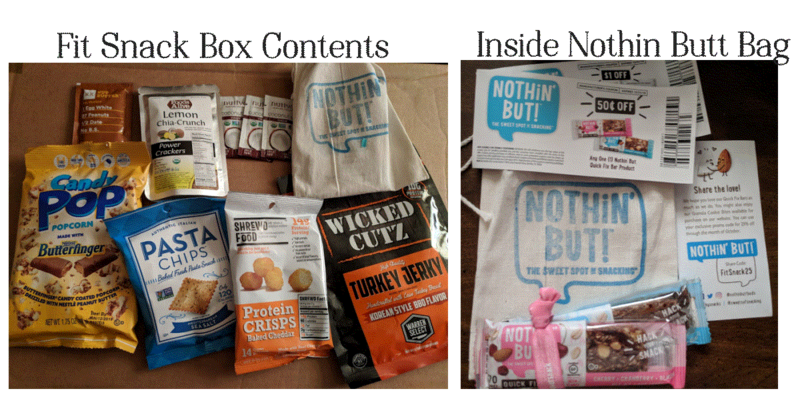 I received a Fit Snack Box for free in exchange for inclusion to our Fall/Halloween Guide. Fit Snack, is a monthly subscription service of healthy snacks, nutritional tips, and fitness inspiration to support an active lifestyle. The mission is to teach subscribers to enjoy a fit and healthy life – through smart snacking and education. 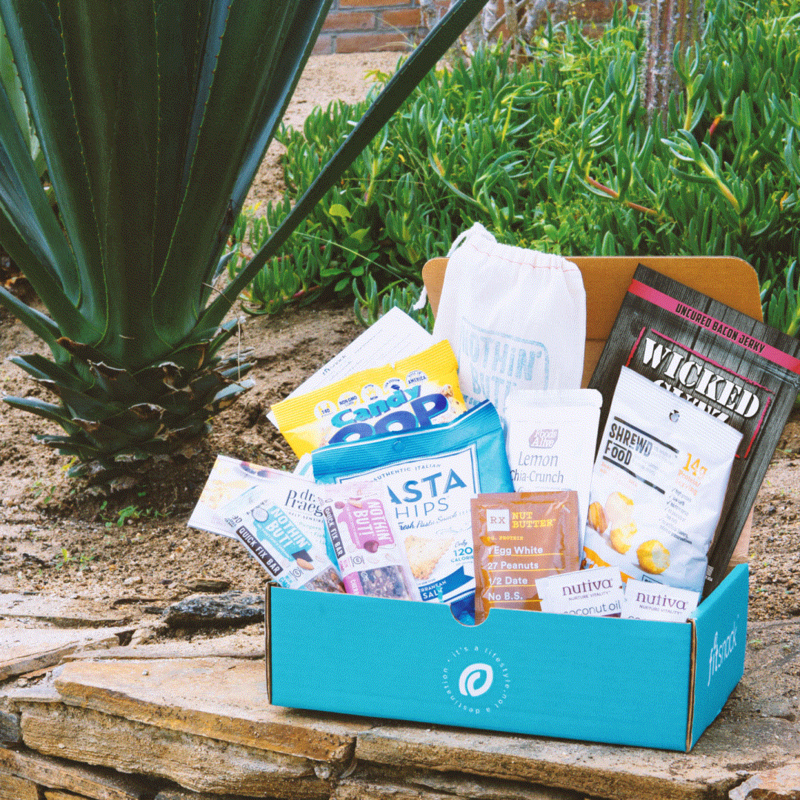 Each box includes healthy snacks from the worlds best brands, fitness tools to keep you inspired including a Personal Trainer Developed Workout, Nutritional tips to keep you feeling great and with each purchase we donate to kids in need. All curated by your Fit Snack Nutritionist and Personal Trainer. Fit Snack, also gives back by donating to the Boys and Girls Club and their fulfillment and packaging is done through a work rehabilitation program. This was a fun box! My daughter loves pasta chips and when she saw I had a bag, she swiped it! LOL The Butterfinger popcorn was delicious! We aren’t big Chia seed fans, but everything else was great! I would definitely recommend Fit Snack for a nice monthly treat. Inside the box were : Butterfinger Popcorn Turkey Jerky, Some Protein Chips and more. I received the product(s) mentioned above free of charge. We are not obligated to give a positive review. We received NO financial compensation other than the product for the review. This disclosure is in accordance with Federal Trade Commission’s 16 CFR, Part 255: Guides Concerning the Use of Endorsements and Testimonials in Advertising. If you would like a review done contact Sandra @ Mediainfo@moderndayGramma.com.